Conveniently located in 'Old Town' West Yellowstone, Montana on a quiet avenue with rustic landscaping, in a private setting. 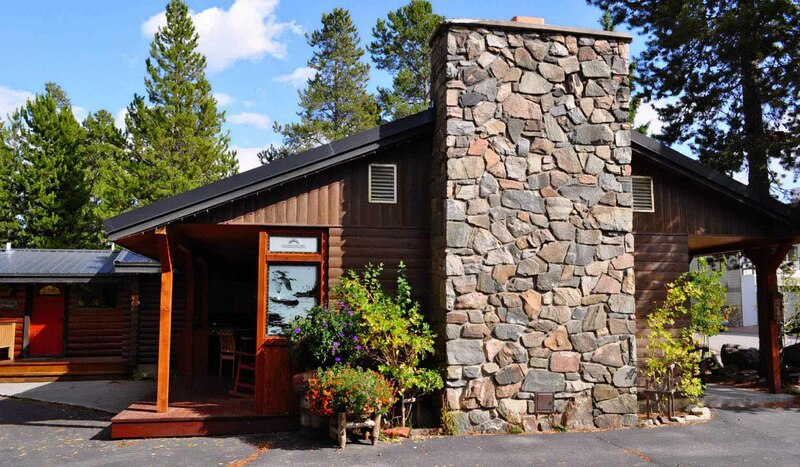 Nicely appointed and comfortable cabin lodging with a stylish Montana atmosphere, newly updated yet retaining original character and warmth. Our cabin has 1,400 square feet of living space and sleeps up to six, with two bedrooms, one queen bed in each, and a cozy queen sleeper sofa in the large living room with fireplace. We offer a fully equipped kitchen, bed and bath linens, Direct TV, VCR, DVD/CD, laundry area and two full bathrooms. Our little mountain village is surrounded by a universe of splendid countryside packed with adventurous opportunities. There is lots to do and see in this amazingly unique corner of the world located minutes from the nations playground of natural wonders, Yellowstone National Park. Enjoy fly fishing the world famous Madison River or boating on the waters of nearby Hebgen Lake. Golfing and whitewater rafting on the Gallatin River is about 45 minutes to the north at Big Sky. View the abundance of wild animals and birds that call this country home; you might see wild bison, moose, elk, deer, coyotes or even BEARS. Winter activities include snow shoeing, cross-country skiing, snowmobiling and snow coach tours of Yellowstone. Fantastic photographic opportunities abound in our white winter world blanketed under the bluest, biggest, sky you'll ever see. Visit our Chamber of Commerce for a listing of events that occur throughout the year. Please no pets.